This week I am sharing the last set of FREE outnumbered journaling labels with you guys to use on your December Daily project, or any other creative project you have in mind (for personal use only). 31 and other prompts – in this post. 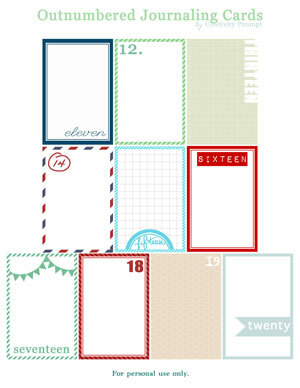 This week I am sharing yet another set of FREE numbered journaling labels with you guys (for personal use only). The rest will be available next week. 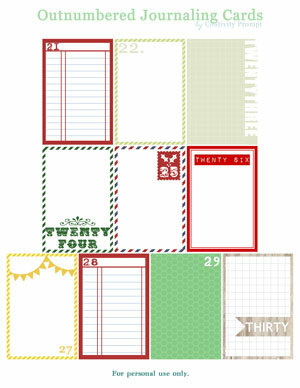 Alexandra, my crafty love, suggested last week to extend the numbered journaling cards series for December Daily. As any of Alexandra’s ideas, I’ve found it fabulous, so I created another set of FREE outnumbered journaling cards to share with you guys (for personal use only). 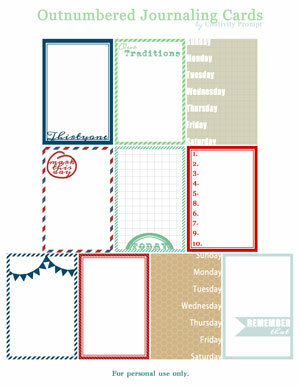 This week I am sharing a special set of FREE December Daily labels with you guys (for personal use only). On the rare case you don’t already know, December Daily is a wonderful idea, initiated and developed by the awesome Ali Edwards. The idea is to capture and record the special festivities and customs of the month of December on a daily basis, while preparing the foundation for the album in advance. 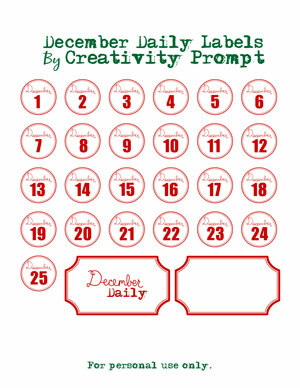 I hope this set will be useful for you if you decide to jump on the “December Daily” bandwagon… You can easily cut the circle labels with a 1″ circle punch. How are you going to create a December Daily album this year? Did you make one last year or the year before? Please leave a comment and share.